The Year That Was & The New Year to Come! I’ve been sick for the last several days so I haven’t posted much during that time. I thought I’d go ahead and share a review 2017 and a look forward to 2018. 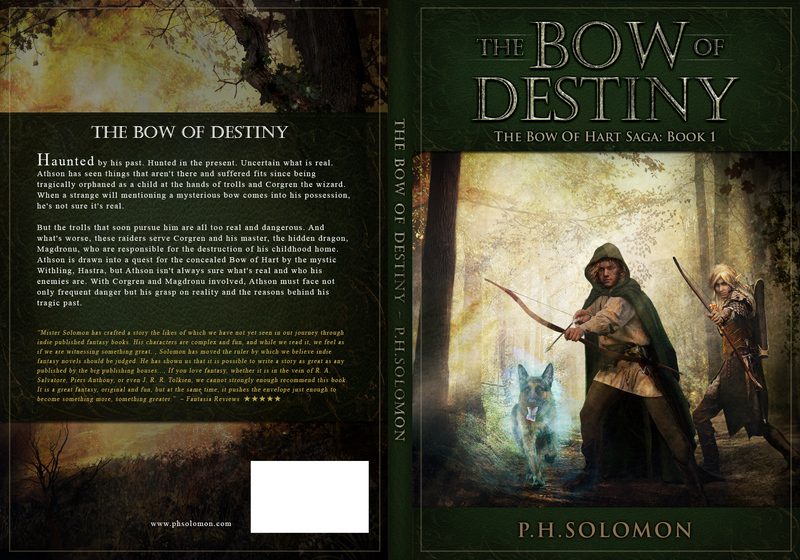 The year started well enough with The Bow of Destiny being named the 2016 Book of the Year by Fantasia Reviews. What a wonderful surprise that was, especially with my single novel. I was more determined than ever to publish the next book, An Arrow Against the Wind. I was also invited to join Story Empire which proved to be a lot of fun and a privilege to work with all the authors on that ongoing project. But little did I know what the year had in store for me. By February 1st I was caught in a work-force reduction with my employer and found myself out of work. I thought it would be no trouble but I started work in earnest to complete An Arrow Against the Wind as soon as possible while I was out of work. The job search stretched much further than I expected but I was highly motivated and released the book in late April. After that, I figured, as long as I still don’t have a job, I’ll work on the next one and see how far I get. So, I began work on The White Arrow – from scratch. Somehow, the job search just kept going but I finished the third book and released it in early October. That made for a busy and exhausting writing year with a lot of stress about the job loss. Because of all the pressure to publish two books this year, I never had the time I needed to really set them up with releases that I felt good about. Money was limited and time was short so I made do with what I could do and still saw pretty good sales. During all that, I ended up signing with a literary agent and started two new books, each the first book of a new series. Those two books are well underway and being pitched to publishers. I was thrilled to work with an agent and I’ve seen more writing opportunities as a result than I ever though possible. This end of the year has rolled around much faster than I anticipated but it looks like I’ll be going back to work in just a few weeks (finally, though it’s temporary contract)! That will change my writing schedule but I’ll keep up the work on the books I’ve started and plan on one or two more. But The Bow of Hart Saga has been completed and I am moving onto new writing projects. I have no idea what 2018 will bring considering how 2017 started. An Arrow Against the Wind has been nominated as Book of the Year again so it could very well start the year off very well. Some of my writing opportunities through my agent could come through or not. My new contract job might last all year or just a few months. After last year, I make no predictions about what will happen, nor do I place any big expectations on what I believe will happen. I’m rolling up my sleeves to market the series more effectively as soon as possible. With more income, I’d like to release all the three of the novels in print and there might be opportunity with audio too. Otherwise, I’ll keep up the work on my new projects and see how far I get with them, hoping to release at least one book during the year. I’ll announce my print or audio plans as those develop as well as when I expect to publish anything new. Stay tuned, it should be an interesting ride if nothing else. I’ll soon share about some lessons learned in 2017 and finally get to a post about on of the settings for An Arrow Against the Wind. Until the, I hope everyone has had a Merry Christmas will have a Happy New Year! I’d also like to thank everyone who has read the books this year, I would be this far along without all the fans! This has been a year of ups and downs. Good luck with the job, the agent, and the book of the year award. Rooting for you! And happy new year to you and yours. Cheers on all those accomplishments. It sounds like you had many triumphs to offset the roadbumps! It was a bumpy ride. Thanks, Mae. Sounds like a roller coaster. Best of luck with your 2018 plans. That made me laugh. Heck, I’d read it. One thing that can be said about 2018 (or any year), we don’t know what will happen. But it sounds like you’ve got a good plan and I wish you all the luck. Congrats on the new job, I know it’s been a long time in coming. Looking forward to what the new year brings. The plan never goes as planned so I will adjust like I had to do this entire year.